UK healthcare consultancy Pegasus has been bought by UDG Healthcare in a deal valued at up to £16.8m. Pegasus becomes part of Ashfield Healthcare Communications, a subsidiary of UDG Healthcare's Ashfield Commercial and Medical Services Division, and will be under the leadership of its director David Moore. Moore said that the acquisition of the healthcare consultancy is “strategically important” for the outsourced services provider. “It strengthens our existing communications offering and broadens our capabilities in patient and consumer communications programmes, as well as corporate reputation and crisis management for our growing client base,” he added. 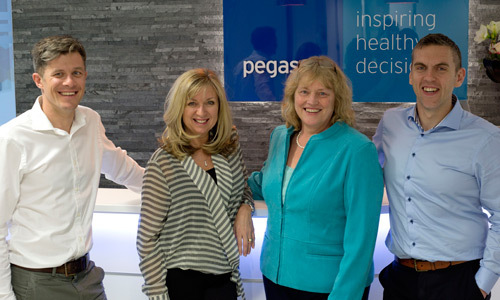 Pegasus is one of the UK's largest consumer healthcare-focused PR firms, with a team of 100 employees based in Brighton. Current clients include Daiichi Sankyo, Denplan, DuPont, Lloyds Pharmacy and Novo Nordisk. Deputy managing director Simon Hackett becomes managing director, while Pegasus' founder Lisa Bradley will become the agency's chairman, taking over from Tim Adams who is departing. Bradley commented: “Joining Ashfield will increase the breadth and depth of services we offer to our clients and will provide staff with the opportunity to acquire new skills.